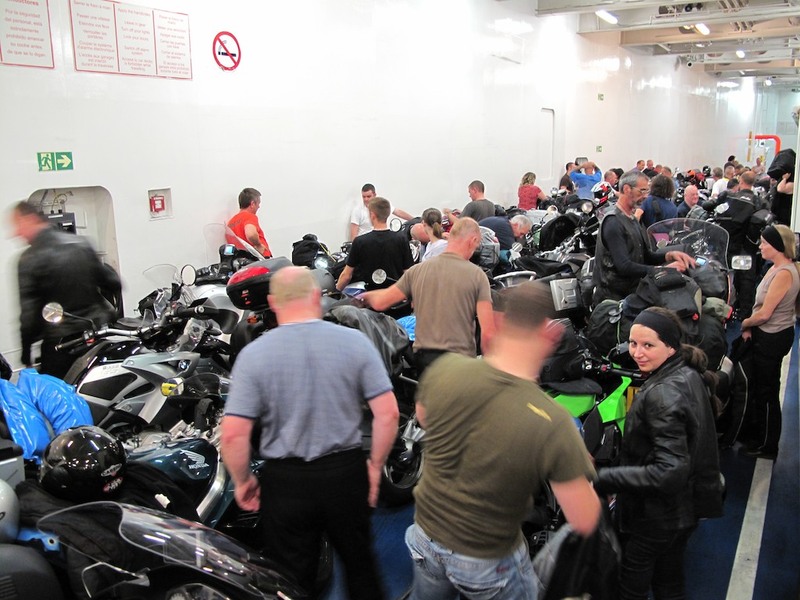 The best way to describe the scene on the car deck of the Pont Aven is utter chaos, at least as far as the bikes are concerned. When we arrived everybody unloaded as soon as they pulled up, so it was a gradual process from the start of the 4 lines to the end, but this morning was truly a free-for-all. I didn’t even try to get to my GS, instead chatting to some seasoned travellers about what lay ahead. Everybody knew it was going to be hot, but just how hot was not something I was prepared for. 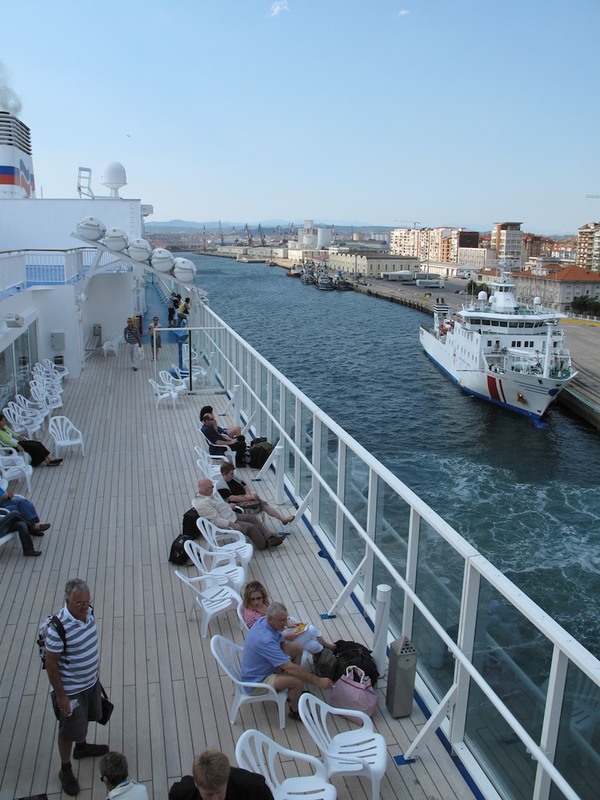 Pulling into the filling station right outside the ferry terminal (on another biker’s recommendation – top bloke!) my dashboard read 37 degrees C. After filling the bike, first order of the day was to get some shade in which to re-pack my luggage from the night on the boat. Gore-text riding gear can do nothing for the rivers of sweat running down the back of your legs and neck, and to say that the helmet and gloves were uncomfortable would be the understatement of the century. I left in a westerly direction, using the motorway to get away from Santander pronto before dropping onto some small tracks that eventually turned to dirt, the single-lane dirt, then coming out again on a quiet road which hugged the coastline. Temperature dropped slightly to around 30 degrees, and even as low as 24 whenever I gained height. Aware that some water would be a good idea, I stopped at a super meercat which looked to be shut but was just coming out of the midday siesta. Found 2 large bottles of chilled agua, a mean lookin’ tuna pasta thing (which I’ll cook in a moment) and some tissues in case the tuna pasta turns out wilder than expected. Also hoping to replace the shower gel I left behind at Blackmore Farm I searched the one and only toiletries aisle several times, but all they had to offer in place of shower gel or indeed soap was a couple of cans of deodorant. I wonder if there is any truth to this “Spanish Shower” business? I’m afraid it’ll forever be a mystery, as my ignorance of Spanish was matched by the cashier’s lack of English, but she did give me a huge bar of white chocolate which seemed to be a free gift when you spent whatever it was that I was spending. Rode 90-odd miles before coming to rest at a campsite near Cantiella, roughly 20 miles east of Gijon. The tent is up and it’s just becoming bearable again now that I’m out of the riding gear, showered, and have a bottle of cold beer in front of me. There’s a free wireless signal too, so I’m going to pop back after my tuna burn-up to embellish this and the two previous posts with some pictures. Wish me luck with that fire blanket!